Artistic redesign using unconventional colour schemes. 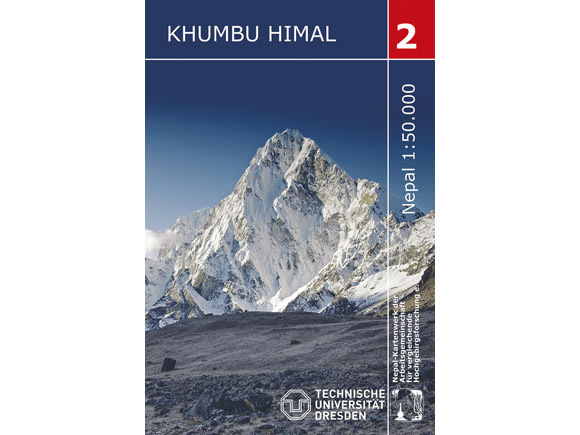 Publisher’s Description: Taking over the tradition of the world famous Nepal maps from the Scientific Association for Comparative High-Mountain Research, the Institute of Cartography of the TUD has completely redesigned these two mountain maps from the years 1965 and 1974. Settlements and road network as well as the glacier extents are updated on the basis of extensive field work and the analysis of current satellite images. Additionally touristic information is presented the first time within the maps. 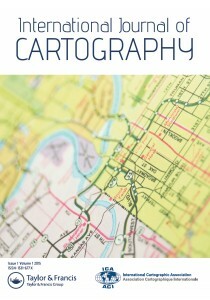 The analogue maps were digitised and transferred into a digital GIS-based map production process. The main focus of the maps is set on the Everest trail, which starts at Himalaya airport Lukla, going around Namche Bazar to the north ending at the Everest Base Camp.